Watching Beautiful Creatures on Friday got me thinking about classic science fiction and fantasy literature. Kami Garcia and Margaret Stohl (authors of the novel the film was based on) set out to prove to their teenage audience that books like Vonnegut's Slaughterhouse Five and Lee's To Kill a Mocking Bird weren't boring or outdated and it's a theme that runs throughout Beautiful Creatures. Classic literature can have a profound impact on the way we see the world around us even though parts of the premise that was so groundbreaking at the time may seem commonplace now. Garcia and Stohl's story hammers home that the concepts within classic lit still have much to teach readers. So, I wondered what genre novels would I want my kids to read even if they seem a bit anachronistic now. What classic lit novels have shaped the way I understand life and would do the same for new young readers? The first three books that came to mind were Lord of the Flies, Anna to the Infinite Power, and 1984. After shows like Lost and Survivor, the idea of a group of mostly strangers being stranded on a deserted island doesn't seem particularly terrifying now but the notion of how easy it is for society and civility to breakdown is still scary as hell. Even more, the bullying and mob mentality present throughout the book are very much relevant to what most children face every day at school and online. Anna to the Infinite Power is also another one that let me explore new avenues of thought. Though it probably isn't considered classic literature, the children's book about cloning was the first time I read about nature versus nurture. It was also one of the first books that showed me, through Anna's fight compared to the actions of her clones, that I could steer my own future. Finally, it seems like these days Little Brother is much more of a threat than Big Brother what with every embarrassing public moment showing up on YouTube, but Orwell's story about a totalitarian government is still very relevant. Not only did I learn what a danger unchecked power could be in 1984, I also realized how attractive drinking the Kool-Aid and buying into the lies could be when it means lessening your own suffering. So, how about you? What novels do you think are unstuck in time? 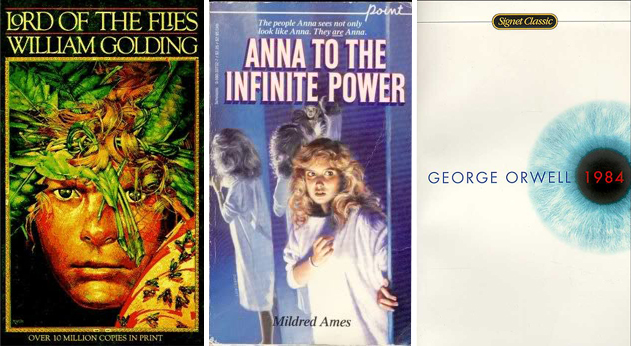 Which ones would you recommend future generations read in spite of any anachronisms? Which genre books shaped how you see the world around you? Here's my list that I hope that my niece and nephews will read and love when they get older. 1. To Kill A Mockingbird. As a young black girl, the idea of another classic book involved a wrongful trial of a black man just seemed boring and cringe-worthy to me. Fortunately, my older and occasionally wiser sister told me to read the first 5 chapters (Which is one of the biggest traps ever created by man, btw) and if I didn't like it, I could give up. I ended up loving the entire Finch family and wishing Atticus was my father, guiding me through the rocking seas of life. It taught me that sometimes, you have to do the right thing even when you know it won't change anything. 2. Anne of Green Gables. One of the first book series that I obsessed and fangirl'ed over (Gilbert/Anne shipper for life!!) and the first book to make me cry. 3. Charlie and the Chocolate Factory. The more I read this book, the greater it gets. That book is THE book of "You might not have money or be the biggest or the faster but you have heart and that's all you need". Charlie Bucket, along with Anne Shirley, was someone who I copied growing up and is still one of my favorite fictional people. There's a few other as well: Daddy Long Legs, Foundation, and a few Beverly Clearly but it would take me too long to type them all.